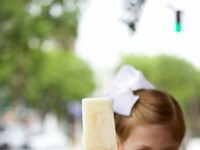 Auspicious Baking Co. is at 5224 Skidaway Rd. 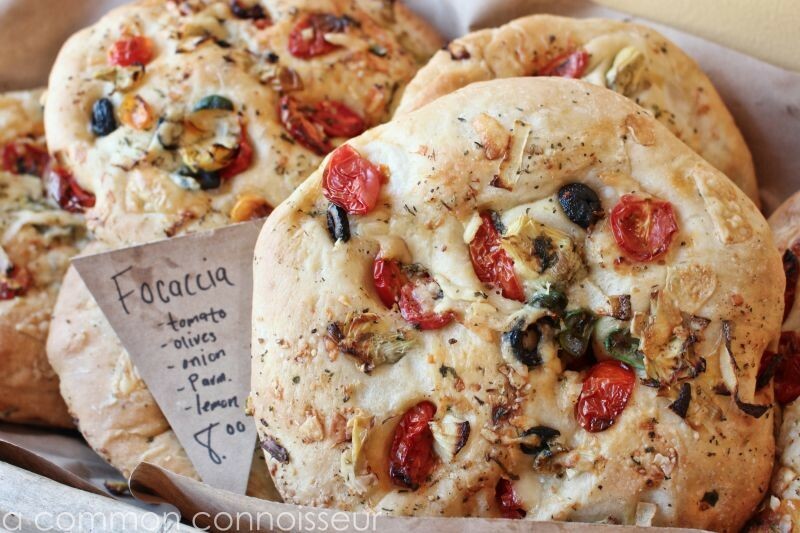 Circle bread with tomatoes: A variety of breads, including this Mediterranean Focaccia Loaf, make Sunday's lineup. IT’S SUNDAY at 8 a.m. Most people are preparing for church or in bed, hung over. Me? I was racing to Skidaway Road. “Catch us at the bake house early as last week we SOLD OUT,” Kaytlin Bryant warned. I pulled into a parking lot crammed with cars at 8:15 a.m. Parents with babies, socialites, chefs, beach ready kids, men in their Sunday best —you get the point—a gamut of people were all pouring out of their vehicles into the Auspicious Baking Company. Inside, the quaint space was bursting with the bustle of eager patrons. After hugs and “welcome back,” the reoccurring theme was that everyone set their alarms early to beat the rush. As I shot pictures of patrons ordering “one of everything” from the bake case, I was struck with an anxious sense of urgency. If I didn’t place my order soon, everything may be sold out right before my eyes! Branded as being conducive to success, the duly named Auspicious Baking Company has already found favor with Savannahians since opening day on June 18. Owners, Kaytlin Bryant (left) and fiancé Mark Ekstrom, handcraft hundreds of baked goods each week. Owned and operated by Bryant and fiancé Mark Ekstrom, the twosome rustically crafts everything from breads and pastries to cookies and cakes from scratch, the good old-fashioned way. “A lot of baked good products from grocery stores are commercially processed. We are handcrafted from scratch. We do it with the sweat off our backs and with our muscles,” she says. “It takes time. People lose sight of the tender love and care that goes into baking. We make it the way grandma did, and that is what sets us apart”. As a self-taught baker, Bryant recalls the serendipity of her high school years, where serving as a line cook under the wing of a pastry chef turned into a newfound passion. Bryant became a bread aficionado, metamorphosing a base recipe into unique flavor combinations. 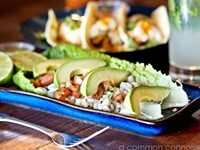 “It was my first experimentation with food. It was exciting and I was allowed to be creative,” she says. Ekstrom similarly worked in the restaurant industry during high school, learning everything from kitchen preparation to front of the house. The lovebirds met in Pennsylvania and began their relationship directly after high school. Seeking to escape the treacherous winters, they hightailed it to the South. Even though their original destination was Florida, Savannah won their hearts. Bryant was given liberty as an employee at Rum Runners Bakery, but desired a bakery of her own. When the space on Skidaway became available, Bryant and Ekstrom saw it as a sign. Naturally leavened Yuengling Lager and Cheddar bread is a labor of love, taking 24-hours from start to finish. However, opening Auspicious Baking Company could not be fully attributed to luck or chance, but genuine benevolence. A few months prior to opening, the couple reached out to the community for financial support. Savannah’s response left a humbling impression on the duo. Auspicious Baking Company’s snug space is lavished with antique furniture, continuing the old-world motif that embodies Bryant’s baking technique. While Ekstrom handcrafted elements of the shop, other pieces such as the bake case were donated. 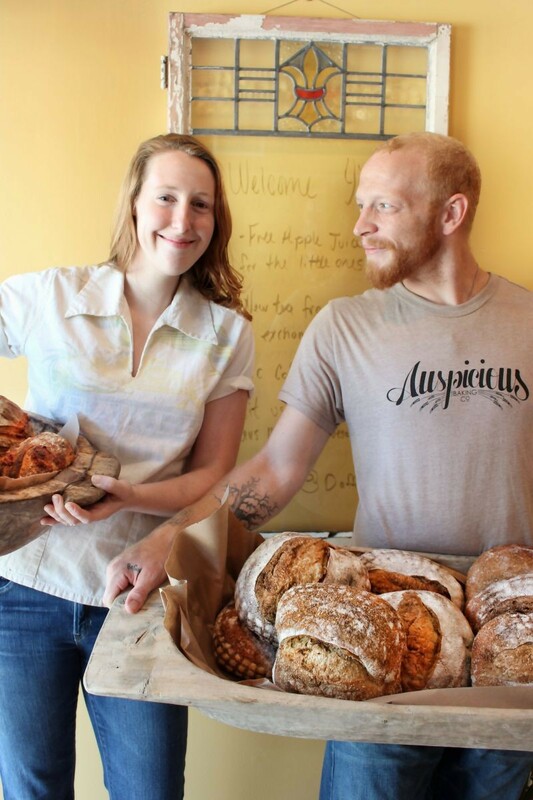 Serving as the only two bakers, the optimistically exhausted couple spends countless hours each week prepping to open every Sunday from 8 a.m.-2 p.m.
Bryant says, “No one realizes the time it takes to make 175 pastries and about 50 loaves of bread by hand. 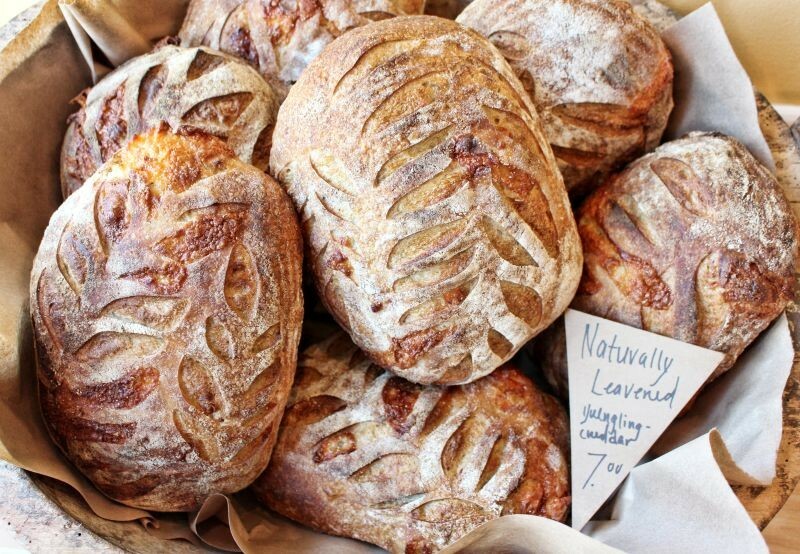 As an example, their naturally leavened bread takes 24 hours from start to finish. Bryant and Ekstrom have to be on the clock to feed the starter, mix it, and let it rest. Each week the bakers auspiciously fashion a myriad of baked goods including artisan levain crackers, turnovers, croissants, pop-tarts, brownies, cinnamon rolls and of course, bread! Focaccia, pan loaf, challah and naturally leavened selections like Yuengling lager with cheddar and honey-fig can be found on Sunday’s lineup. Banding with other local small businesses, the Auspicious Baking Company’s goodies will be available at the Tybee Island and Richmond Hill Farmer’s Markets. “We are trying to keep it local and source local. It’s important to have a connection with our community,” Bryant says. On the drive home Sunday morning, I reached into a paper bag and tore off spongy pieces of Mediterranean Focaccia loaf. The sweet roasted tomato juices and olive oil oozed all over my fingers. I indulged with a sense of pride, that feeling you get when you are among the first in line to buy that coveted item. My advice? Get to Auspicious Baking Company at 8 a.m. next Sunday and don’t be late!